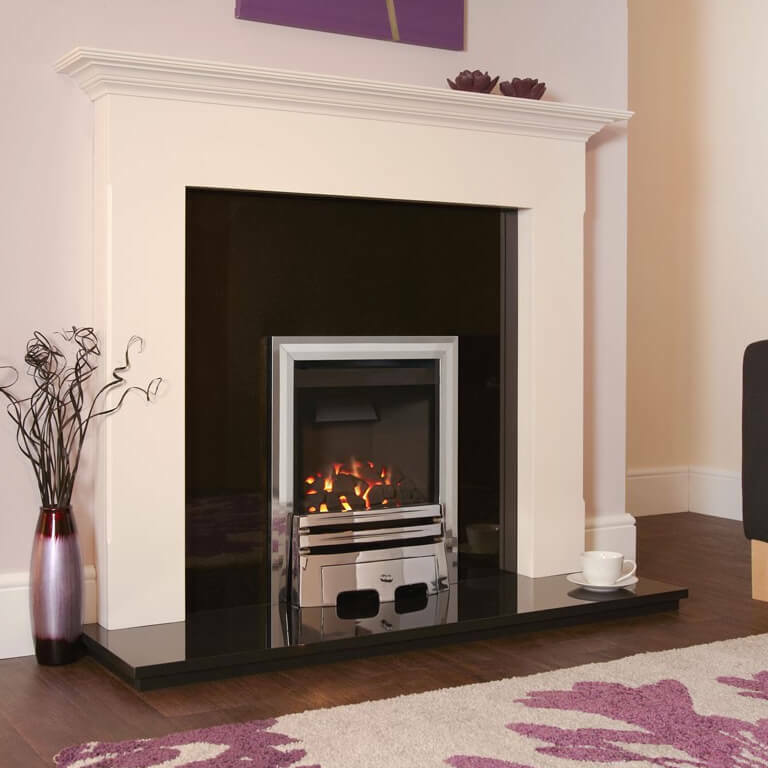 The Flavel Calibre Balanced Flue Full Depth Gas Fire is a glass-fronted unit that features an exceptionally large viewing area to enjoy and a plain black fire backspace as well. 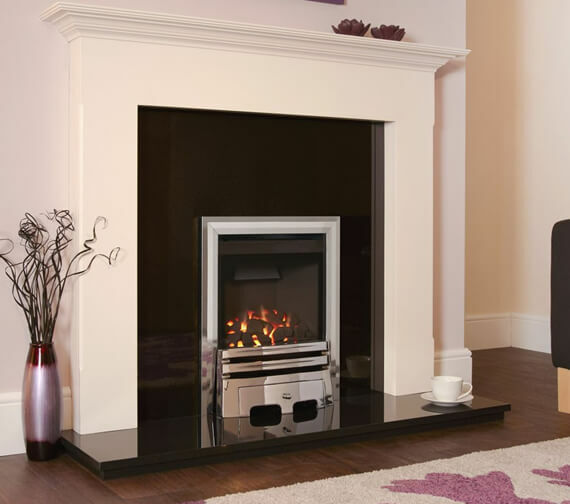 Fueled by natural gas and offering an impressive energy efficiency of 93.5%, this product boasts a full depth coal fuel effect and amazing direct heat output of 3.9kW. 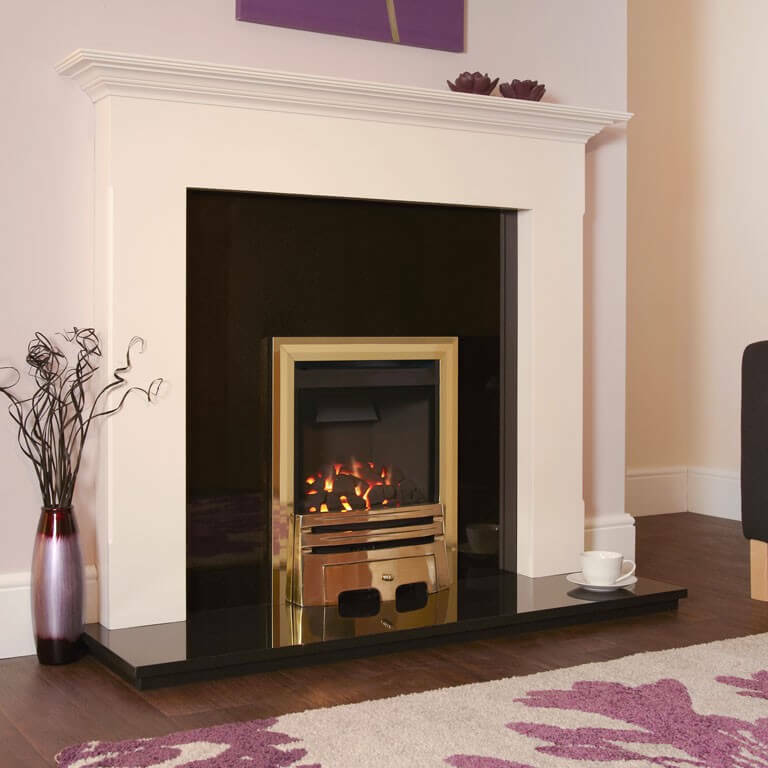 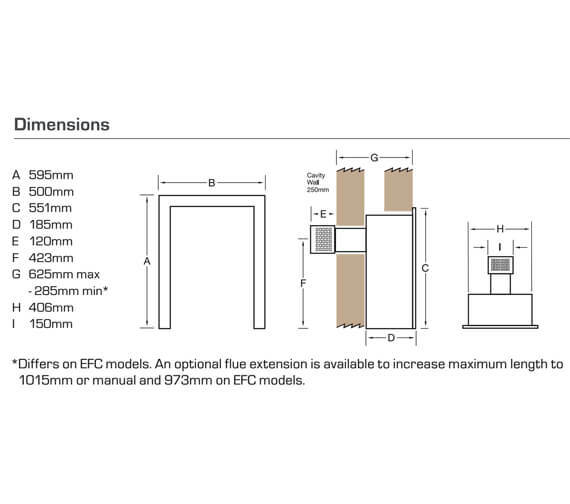 Supplied with a flame supervision device included for enhanced levels of safety, this unit is installed with a horizontal flue pipe to vent directly outside for use.